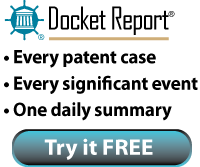 The court granted plaintiff's motion to strike portions of the reports of defendant's invalidity experts which included disclaimers. "⁠[Plaintiff] insists that the following language should be stricken from the claim charts included with [the experts'] Invalidity Reports: 'Even if these references do not expressly disclose this claim element, the claim is obvious due to the inherent disclosure of the references and/or the knowledge of one of ordinary skill in the art. . . .' The failure of [defendant's] experts to provide any analysis supporting their conclusions is prejudicial to [plaintiff] because it cannot adequately prepare to cross-examine [them] regarding said conclusions or counter their reasoning with [its] own experts. [Defendant's] argument that the challenged statements are not 'reservations' or 'disclaimers,' but instead, reflect 'the fact that the claim elements are also found elsewhere,' does not address the problem with the experts’ lack of analysis. If [defendant] is correct, then there is no harm in striking the statements."